Energy efficient lighting, what do I need to know about it? – Green It Yourself Now! Energy efficient lighting, what do I need to know about it? 5 Comments on Energy efficient lighting, what do I need to know about it? This article is about the lighting options available in the market. You have probably noticed that now there are many types of light bulbs to choose from: the traditional incandescent light bulbs, the halogen ones, the CFLs (Compact Fluorescent Lights) and LEDs (Light Emitting Diode). But do you really know how to identify them? Do you know how they work and how to get the best out of them? Let’s start talking about the traditional incandescent bulbs. This was the second commercially successful type of lamp – the first was the carbon arc, a very toxic lamp, not suitable for indoor use – and it represented a great innovation compared to the first as it was cheap to produce and emitted no toxic substances when used. However, this technology has been phased out in many places, including the European Union, as it is not energy efficient: 90% of the required energy is turned into heat and only 10% results in light. They can still be found in some shops, even though the UK Government announced it would be phased out by 2011. 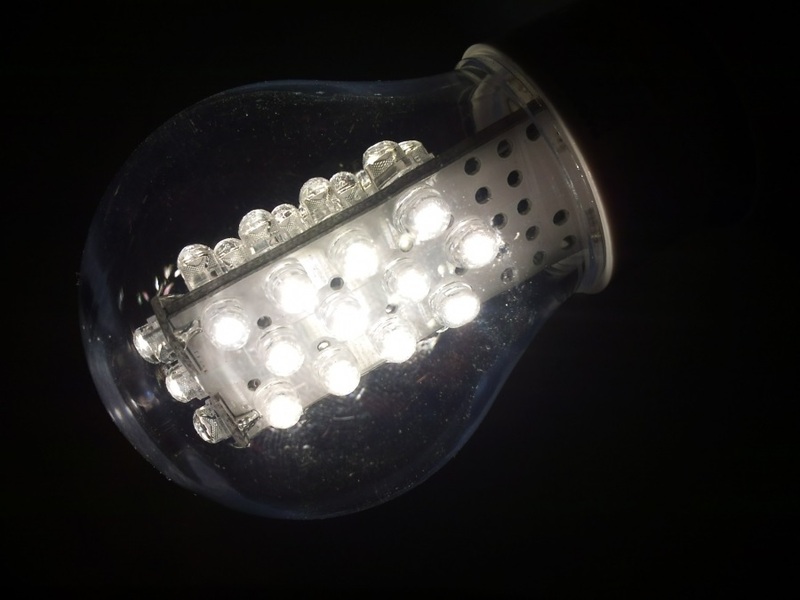 The halogen bulbs are an advanced form of incandescent lamp, but with a better output: a brighter colour closer to sunlight and a longer life compared to the traditional ones. Despite that, these lamps are very dangerous, they get extremely hot and are very sensitive, easily exploding under certain conditions, such as human contact. Usually, there is an outside glass to protect the lamps from hazards. 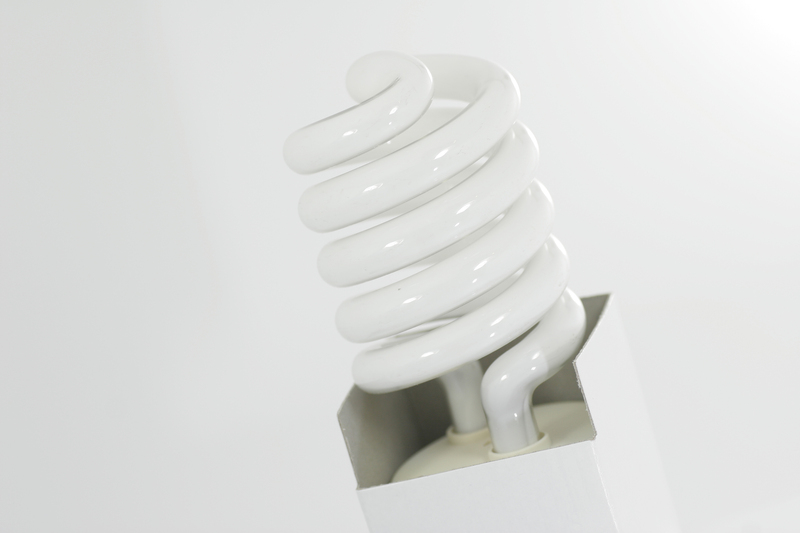 The CFLs are energy efficient and very good for interior lighting as they produce diffuse and even light. They use one-fifth to one-third of the electric power that an incandescent lamp uses, and last eight to fifteen times longer. Even though CFLs are more expensive than incandescent lamps, their great performance easily compensates the high initial investment. The only problem that CFLs present is that they have a small amount of mercury inside and have to be handled with care as this substance is toxic to humans and the environment when in large amounts. 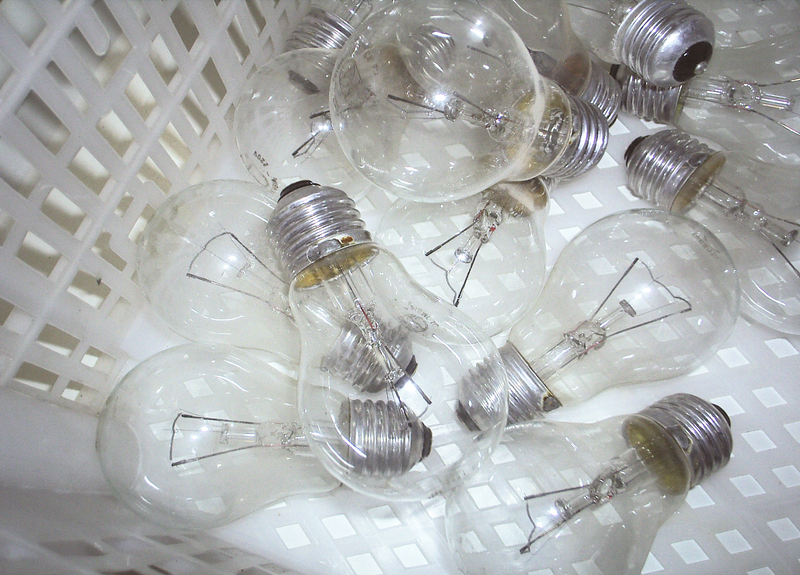 Recycling programs solve this issue with responsible disposal of these bulbs. LEDs (Light Emitting Diode) are even more energy efficient than CFLs, they last longer and are not affected by frequent on-off cycles; both incandescent and fluorescent lamps last less when turned on and off very frequently. 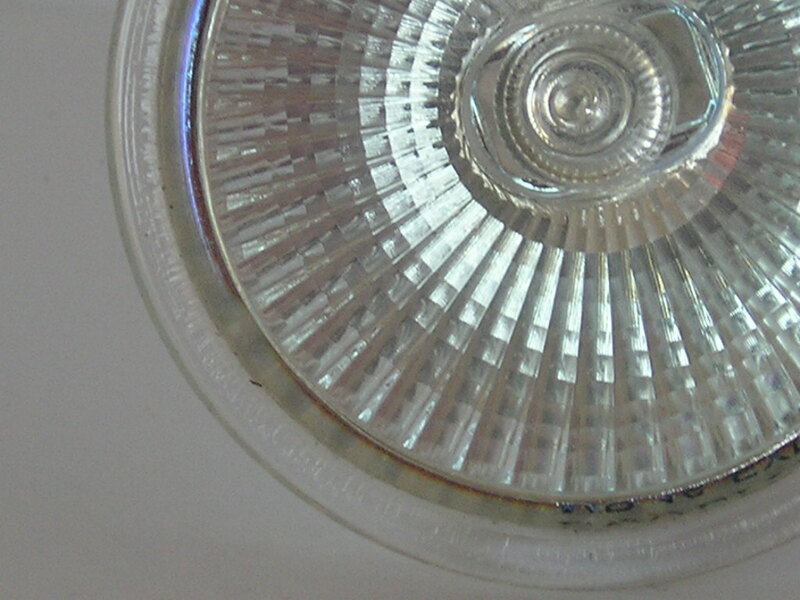 LEDs also light up very quickly when turned on and are very resistant as they are totally made by solid components – all the others have gases or liquid substances inside. LEDs are more expensive than the previous ones, but have a significantly longer-term financial advantage compared to incandescent and halogen bulbs and CFLs. They have been decreasing in price steadily and will probably become more affordable in the future. The chart below compares traditional incandescent light bulbs, CFLs and LEDs in terms of item cost and energy consumption. We have calculated an example of how much you can save in 50,000 hours, which is the lifetime of a LED lamp and corresponds to 5.7 years. Note that a 60W incandescent bulb has a light output between 900 and 1,200 lumens, equivalent to a 14W CFL or a 10W LED. Even energy efficient options, such as CFLs and LEDs, cannot surpass the financial advantages and convenience of natural light. Be attentive when building or renovating your home and try to find ways to get the most out of the daylight by placing more windows, fixed glazing panels, rooflights and reflective surfaces. Get a brighter home and Green it yourself… Now! The picture of the incandescent light bulbs is by kennymfk, the halogen bulb is by Alvimann, the CFL by kzinn and the LED by kalleboo. Pingback: Indoor Garden: tips and solutions – Green It Yourself Now! Pingback: Sustainable lighting that improves your health – Green It Yourself Now! Pingback: Why are LED lamps so efficient? – Green It Yourself Now! Previous Entry Air Leakage? How does that affect my home? Next Entry Keeping your home warm. How does insulation work?